Marilyn Vine is an Independent Distributor of Young Living Essential Oils. My ID is 1103165 and I have become an impassioned user of these essential oils. The more I use the oils and supplements – the more I love them and the more I am using! The information that is contained in this page is provided by third party and not by Marilyn Vine. The information may not have been evaluated by the Food and Drug Administration or the Therapeutic Goods Administration and is not intended to diagnose, treat, cure or prevent any disease. The Young Living dietary supplements can play a role in supporting, affecting, and maintaining overall wellness and specific body structures and functions. Warning: Never put essential oils into your eyes or ears. If this accidently occurs do not use water but use a quality olive oil. Water will exacerbate the problem. When it comes to YL essential oils, Young Living sets the standard for purity and authenticity. They carefully monitor the production of their oils from beginning to end through their unique Seed to Seal® process, ensuring the purity of each essential oil and protecting nature’s living energy in every bottle. For more than two decades, they’ve diligently overseen every step of this process, both on their own global farms and with their carefully vetted partner farms. This unsurpassed commitment to quality means that you can be confident that the Young Living essential oils and oil-infused products you use in your home are safe and effective. After reading the information contained on this page and you decide that you would like to purchase the Young Living Essential oils then please click this link and follow the prompts. My ID will be 1103165 in the name of Marilyn Vine. The above four Young Living Essential oils are applied in the order shown. Thieves and ImmuPower may support healthy immune function; Peppermint may help to drive the previous two oils deeper and Copaiba to assist in magnifying the benefit of the previous three oils. Only takes a few minutes and I can’t remember the last time we suffered from flu or cold. 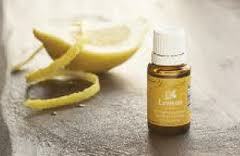 If you would like to learn more about the Young Living Essential Oils click this link. “We all know that heading for the beach without first slathering ourselves in sunscreen (or sunblock as it’s known by many) is suicide in terms of skin cancer, right? Well actually, not right. In fact, if you are really serious about preventing skin cancer, you would be best served by avoiding sunscreen altogether. what makes them different from other oils? There is a significant difference between essential oils that simply smell good and those that are of the quality of the Young Living Essential Oils. Independent laboratory testing proves that Young Living essential oils meet and often exceed industry requirements, and as stewards of nature’s plant remedies, Young Living maintains higher internal standards, built upon the magnitude of their own rigorous Quality Assurance requirements. Gary Young, Founder of Young Living Essential Oils, grows many of the plants used in the Young Living Essential Oils on his own farms in various countries of the world. The best way to have control over the ingredients you are using! NB: Read the Safety Guidelines and Tips prior to the use of any essential oil. Dr Mercola dated 10 January 2019 published this article “Top 11 Reasons to Start Using Frankincense Oil”. I am a regular user of Young Living’s Frankincense essential oil and would not be without it. Click this link to read what Dr Mercola has to say and this link to find information on the oil I use. NaturalNews dated 11 December 2018 published this article“Rosemary displays a powerful anti-anxiety effect, similar to diazepam but without the side effects”. Read the article to learn more about this. Here is the one that I use. Join with me and purchase the Raindrop Technique Collection Kit – watch the DVD provided with the kit and learn to do the amazing Raindrop Massage. The kit contains the following Young Living Essential Oils and Blends in 5ml size. Essential Oils: Thyme, Basil, Peppermint, Oregano, Wintergreen, Cypress and Marjoram. Two Oil Blends: Valor® & Aroma Seiz™. Two massage oils (236ml bottle): Ortho Ease® Aromatherapy Massage Oil and V-6™ Enhanced Vegetable Oil Complex. Don’t miss this amazing opportunity. Click here and take the plunge! ALWAYS check on the label of the bottle to see how this particular essential oil or essential oil blend may be used before applying undiluted. This is a most amazing story about using our Emotional Clearing Technique on a distressed camel. Yes I said camel! What an amazing person Artemis is to know how to achieve what she has. Please take a few minutes and read her testimonial and then take the time to understand the history of the essential oils. Essential Oils as single oils. Essential Oils as blends of these Young Living Essential Oils. Supplements which are quite amazing! Personal care products covering body, hair and oral. A special range just for children! Safe products for babies and children to use. Well this particular home based business opportunity gives me that and much more! Please take the time and see what this company has to offer you to keep you and yours in good health. Wouldn’t you like to help in the rejuvenation of your skin by means of a natural process? Then you should read and check out the information on using essential oils to achieve this aim. Many of you will be aware of how our skin acts like a sponge – absorbing everything it comes in contact with! Wouldn’t you like to use a skin care regeneration program that helps restore your skin’s natural beauty and at the same time is safe to use? Listed below are the different ranges of products that are available using these great oils. Young Living’s skin care products bring together premium botanical and essential oil ingredients to support and improve the appearance of your skin. This line offers essential skin care solutions for every skin type, with products that are expertly formulated to help your skin look healthy and smooth. Click this link to learn more about facial care..
Plant derived and effective, our hair care formulas deliver a rich, aromatherapeutic experience while leaving your hair clean and soft. Made with the safe, plant-based ingredients you love, the whole family can enjoy the benefits and scents of our shampoos and conditioners. Click this link to learn more about hair care products. Refresh your routine with our essential oil-infused solutions! From bath bombs to after-workout gels, these products make it easier to take care of your body without compromising on pure ingredients. Click here for bath and body products. Freshen up with shaving and grooming products specifically formulated for men, all featuring naturally derived ingredients and premium essential oils. Our men’s line includes everything busy men need to care for skin and body, leaving a head-to-toe clean and natural confidence. Click this link for Men’s care. Here is one that the Ladies will love! I am only going to cover two of the fabulous YL Essential Oils. By going to my website you will have access to the complete range of essential oils and essential blends that are currently available. Some of the Young Living Essential Oils are being produced as roll-ons for convenience. More and more oils are coming out of Ecuador and they are unique to Young Living Essential Oils. Gary Young has his own herbal farms in Ecuador and uses these for the distilling of his essential oils. Before I touch on Frankincense I would like to cover Thieves Essential Oil. This wonderful blend of Thieves comes from the time of the bubonic plague. Four people from France were caught coming across the Channel and robbing the bodies of their gold teeth. Eventually they were caught and were asked how they had protected themselves from getting the bubonic plague especially when they were actually touching the bodies to remove the gold fillings. They were offered a lighter death sentence if they revealed what they had used. YL Essential Oil’s Thieves Blend has been formulated using this information. This blend contains clove, cinnamon bark, rosemary, lemon and Eucalyptus radiata and has been university tested and found to be highly effective against airborne bacteria. Did you know that there are 42 known species of Frankincense? Young Living Essential Oils have been doing intensive research in this regard and believe that they have identified the two most researched and therapeutic Frankincense species. These are East African Boswellia carteri and Omani Boswellia sacra. Quality of chemical constituents found in each. Young Living Essential Oils Frankincense Sacra is known for its sweet, warm, balsamic aroma that is stimulating and elevating to the mind. More recently this form of Frankincense has been used in European and American hospitals and is the subject of substantial research. It is also a very valuable ingredient in skin care products for aging and dry skin. The Young Living Essential Oil household range and the dental care range are all based on the information received from the thieves at the time of the bubonic plague. I have been amazed at how powerful the Thieves® Household Cleaner is. In the second sink unit in my kitchen I have a white plastic insert. I only use this sink for draining dishes in. Consequently no water runs through the white plastic insert or through the sink itself. I find that after 4-5 days that it is necessary to give the underside of the plastic insert and the sink itself a good scrub as mold has started to form quite badly. I did a test run of the Thieves® Household Cleaner and took a note of the date (26 September 2010 and kept checking and it was not until 23 October that I had to give the insert a quick wipe over. I could not believe how effective the Thieves® Household Cleaner has been in keeping the mold under control. There is heaps more information that I could provide you with on the Young Living Essential Oils, but I believe that if you visit the website that you will find everything that you need to know. I would love to hear from you so when you visit the Young Living Essential Oil website – select the “Contact Me” button and I will get back to you.